Beyonce knows how to spoil her man! The songstress celebrated Jay Z’s 47th birthday on Dec. 3, with Kelly Rowland and Tina Knowles in attendance! 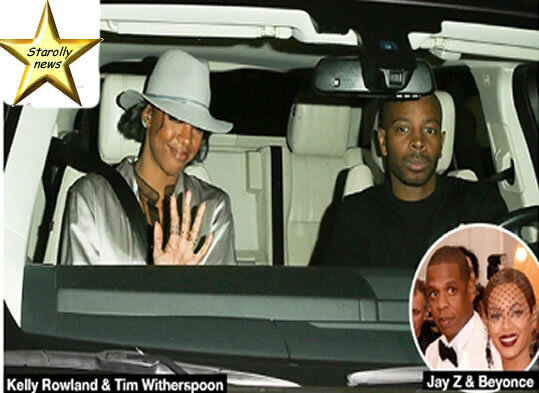 Held at a Hollywood hot-spot, she definitely went all out for the star-studded affair! Read ahead for details! Happy birthday Jay Z! 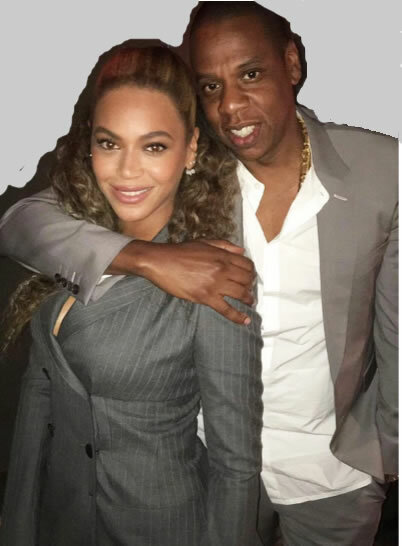 The rap mogul turned 47-years-old on Dec. 4 and to celebrate, Beyonce, 35, Kelly Rowland, 35, and Tina Knowles, 62, ventured out for a private dinner party in LA on the eve of his b-day. Several of their friends were in attendance at the intimate soiree held at Republique, a French eatery with plenty of celeb sightings. Known for liking their privacy, Bey and Jay decorated the venue with dark-colored drapes, so no one could take a peek inside! The “Run This Town” hit maker’s sweet mother-in-law was the first to arrive for the festivities, pulling up with her new husband Richard Lawson, 69, so it certainly was a family affair! Kelly Rowland stopped by with her hubby and manager Tim Witherspoon, looking gorgeous in a trench coat and pointed-toe stilettos. Tina also had it going on, donning a monochromatic black ensemble with wedge sneakers! What an exciting time for Jay, who seems to be enjoying this next chapter in his life. Beyonce recently graced us with another breathtaking music video for her catchy song “All Night,” giving fans a behind-the-scenes look at their private life. One of the best parts was seeing the happy couple flaunting PDA in the six-minute clip, produced by Diplo. After fans heard Beyonce’s critically-acclaimed album Lemonade, many were expecting a fallout between her and Jay Z. However, it seems the lovebirds made amends and are happier than ever these days! 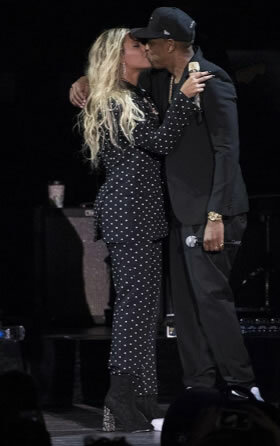 The songstress even brought her man onstage for her Oct. 7 gig at the MetLife show in New Jersey, treating the crowd to an amazing performance of their hit single “Drunk In Love!” We can’t wait to see what the future has in store for these two!